What’s on the menu for birds? One advantage is that gardens often contain non-native berry-producing trees and shrubs that may attract some birds because of their nutritional content or timing. Although the study’s main focus is on the use of berries by wintering thrushes (blackbirds, song thrushes, mistle thrushes, fieldfare and red-wing), gardeners and bird-watchers are encouraged to submit records on other species feeding on berries, such as waxwing, blackcap, starlings and woodpigeons. 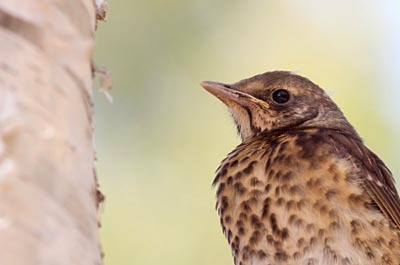 Poor crops of wild fruit and seed are widely forecast after the wet, cold summer, so the BTO will be looking closely at the impact on wintering thrush numbers. The charity Plantlife reports a good crop of blackberries, which are summer-flowering plants, at its Ranscombe Farm reserve in Kent, but sweet chestnuts are behind and sloes, which come from the spring-flowering hawthorn, are proving hard to find.